Impress and Dazzle: Wedding Dance Choreography to Impress Your Guests! Please contact us to schedule free 30 minutes private consultation. Completely customized wedding dance packages starting at $220. Your song, your first dance, as unique as you are. Scroll down for information on packages and pricing. First one Friday March 29th, at 6:45 pm. 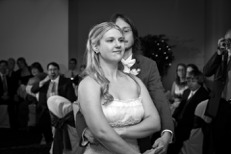 Wedding first dance, mother and son dance, father and daughter dance , wedding flash mob dance packages. Level Three package: challenging, $220 deposit, completely customized. Please follow Chris and Leah's progress as they are learning Viennese Waltz for their upcoming wedding. Alanna and Joe wedding dance, Doris Day, Dream a Little Dream of Me. Crash Course and Introductory Level: If you are pressed for time and don't want anything fancy, please text for the appointment. Payment can be made usind the Buy Now button above. We guarantee to schedule and teach from start to finish in one week, or your money back. Try this little package if you just want to learn two or three steps and a little dip, and have at least two or three weeks before your wedding. Three private lessons, and you can always convert it into the larger one. Level One: Five 45 minutes private lessons, custom simple structured choreography to the song of your choice, two supervised practice sessions. Level Two: ten 45 minutes private lessons, custom choreography meant to impress your guests, with the dips and sophisticated spins, to the song of your choice, three supervised practice sessions. Level Three package: Customized package, advanced choreography, lifts, spins, three supervised paractice sessions, practice performance run, impress, dazzle, warning: challenging! 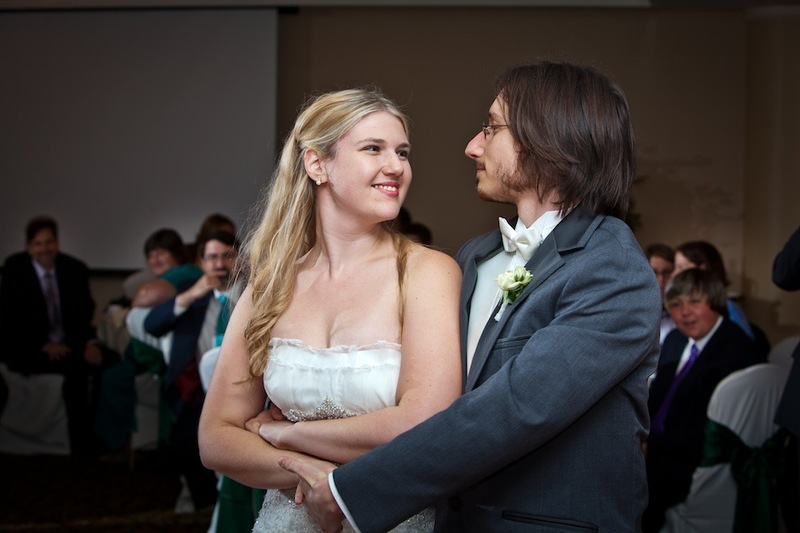 Please read our latest Google Post on how to prepare for your wedding first dance advice. What if you want to learn a First Dance routine to Your Favorite Song? Just choose your music and allow us do the rest. Do you need help in choosing the right song? We have a large library of dance music. We can suggest a dance to you. Then we can put together a dance routine that will impress all your friends and family and most importantly you will have an intimate moment to watch on your wedding video at every anniversary. A father-daughter dance for your wedding reception can be an important part of your big day. The song that you choose may describe the relationship that you had with your father as you were growing up and the relationship you still have with him. Mother-Son lessons are a thoughtful gift for the groom. Mothers will love the extra time they get to spend with their son before the wedding. 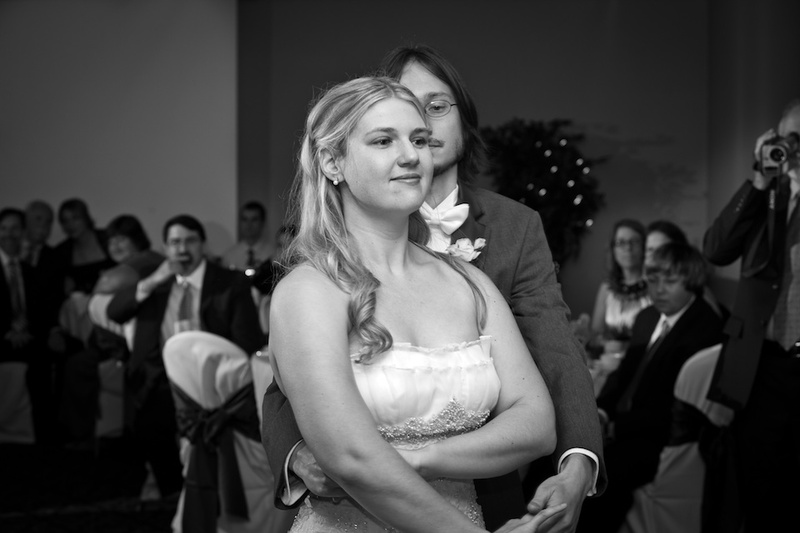 You may choose to combine both the mother-son dance and the father-daughter dance . 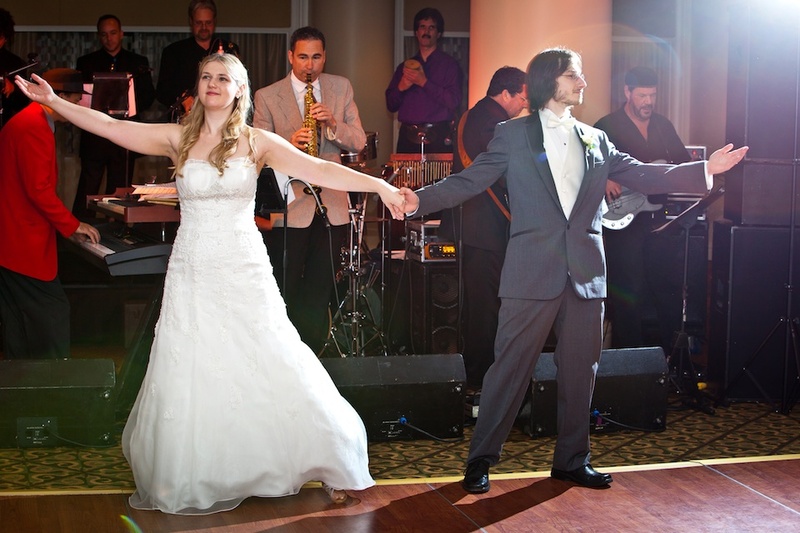 It is also possible to use the same music and perform each dance sequentially or have all parties dance together. You may like to create your own wedding traditions. 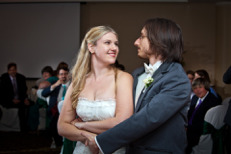 How much time and how many dance lessons will it take to prepare for a wedding first dance? The more time you give us to teach you, the better and more fancy the dance can be. But even if you have only a few weeks, we will be able to accommodate you. We are opened seven days a week from as early as 10:00am to 9:30:00pm. Our regular private lessons are 45 minutes long and we are offering discounts to both new students and wedding first dance students. After the discounts, it's $76 per unit for the couple when purchased in packages of five lessons, that is $380 for the custom made choreography, and five private lessons for the couple. Larger packages are also available. The average couple with no prior experience will need anywhere from five to fifteen hours depending on: the abilities of both partners, the difficulty of the first song, and the complexity of the choreography. Some couples like to keep it clean and simple while others prefer to use elaborate choreography with sophisticated spins, dips, and lifts. Our teachers can accomodate any style and difficulty level, so let's go wild! In addition to the dance steps that you will be learning for your first dance, we will also teach you how to enter the floor looking natural and confident. You will need to practice your bows and curtsy, how to take proper dance position with your partner, and how to lead and follow your partner. Make your first dance last a lifetime! 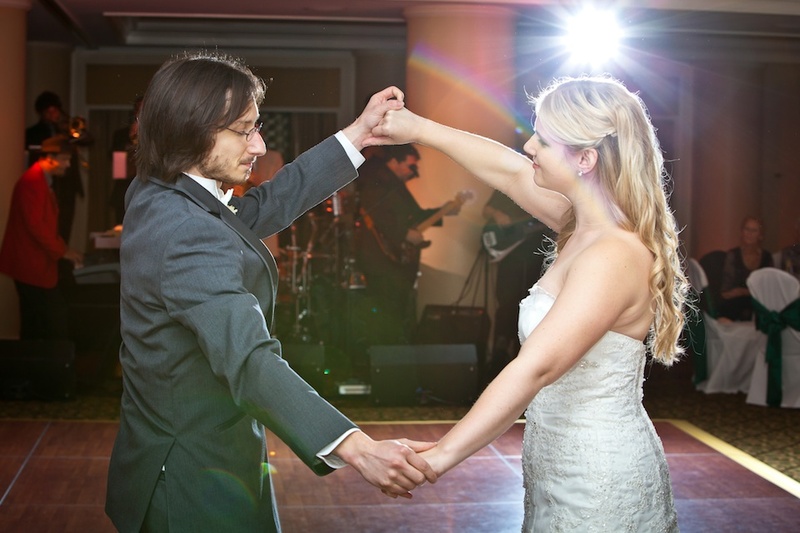 Looking beyond your first dance, basic dance skills are necessary to enjoy many occasions. Learn some basic slow dancing, swing or salsa and you can fully enjoy the party! Follow Sandy and Alex's story as they are learning to dance for their June 9th wedding. Lesson by lesson progress! Lesson number three, choreography is finished! Lesson number two didn't go super smooth, but we succeded at the end! Alex and Sandy, first dance lesson ever! Certificates can be used for the existing or new students. Please call us with the information for the individuals to whom you would like to send the certificate. Mention the recipients name(s) and which certificate you would like. You may also email us the information. We accept credit cards. When you call, we can process the payment and send out your Gift Certificate. Free 30 minutes introductory lessons are for new enrolling students only. No refunds once you start the course, or wedding choreography is completed.